Find Your Bundle Plan Today! Welcome to BundlePlans.com, your place on the web to compare the best broadband bundles available in your area for Internet, TV and home phone services. We work hard to gather together the most informative, useful, and extensive list of bundle plans available to you on the Internet today. Whether you’re shopping for Internet and TV, Internet and phone, TV and phone, or all three, BundlePlans.com will help you to find the latest deals for the speeds and services available to you. Which Internet speeds meet your needs? Are you just an Internet browser and social media hound, or do you stream entertainment? Does your connection need to accommodate on-line gaming? Do you need wifi? How many devices will you have connected? What TV coverages work for you? How many standard channel options would you like? Would you like to include premium channels? Which ones would you prefer? Are you interested in sports channels or international packages? Would you like to have a land-line home phone as a convenient emergency back-up or to reduce your cellular phone usage? Would you like a basic telephone plan, long distance phone service, or do you need an international calling plan? Shop! Compare! Save! In the current provider market, using the same provider for multiple services can offer you significant over-all savings, especially when compared to the same coverages purchased separately from several different providers. So, Welcome! 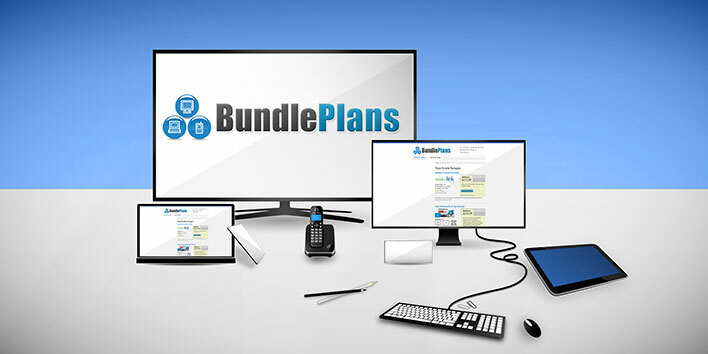 Enjoy the site that we have created for you at BundlePlans.com to put all the info at your fingertips and help you to make a better and more informed decision for all of your service bundle needs!